When the Cultural Center was founded its name was “The New York Mills Arts Retreat.” The artist retreat and residency program remains central to the mission, purpose, values, and vision of the Center today. 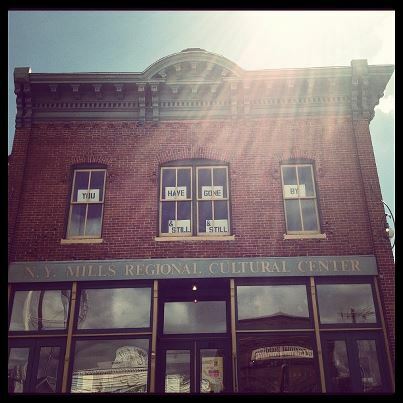 The New York Mills Arts Retreat residency program is now accepting applications. The deadline is April 1 for residencies from July – December and October 1 for residencies from January – June. Access the application form under the menu item “For Artists” then “Application” or by clicking this link. There is just one artist at a time here on residency, which supports our focus on providing virtually uninterrupted time for creative development and exploration. We provide stays of two to six weeks for artists at NO COST for room (solo occupancy of a one-bedroom house and access to studio space in our Cultural Center). Each artist provides her or his own transportation and board. There is no stipend. The Arts Retreat artist residency program of the Cultural Center in New York Mills focuses on providing dedicated artists time for creative development and exploration. 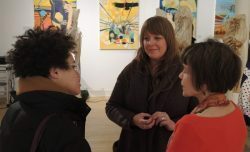 The program offers a unique taste of life in rural Minnesota while allowing the artists virtually uninterrupted time in which to immerse themselves in their artwork. 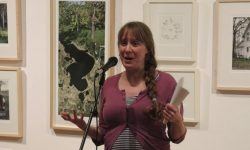 Lindsy Halleckson, artist from Minneapolis, completed a residency in November 2010. She is a visual artist, and one of her projects was creating this “icy heart” ice sculpture. The Cultural Center in New York Mills is nonprofit arts organization and a rural center for creativity, community vitality, and lifelong learning in the arts. We are passionate about what happens when people are connected to artists and to great cultural experiences. We work to expand the cultural and creative opportunities of rural Americans by offering innovative, quality arts programming. 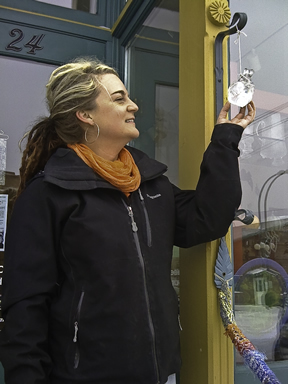 Housed in a restored 1885 general store (including added skylights for natural lighting), the Center boasts a main floor gallery and artist gift store, plus a small second floor gallery and large dance/studio space. Visiting artists are welcome to use the upstairs space during their residencies. The Cultural Center offers a wide array of programs including: gallery exhibits, musical performances, theatrical performances, educational and wellness programs, literary studies and more. We also host the annual Great American Think-Off philosophy competition each June, and a life-size Puppet Pageant depicting tales from the Finnish epic The Kalevala each August. In 2012, we added the Continental Divide Music and Film Festival to the Puppet Pageant and annual community Corn Feed weekend, bringing in many talented and fun bands including Erik Koskinen, The Pines, and Haley Bonar, among others. Visiting artists are welcome and encouraged to attend events at the Cultural Center during their stay. The town of New York Mills was founded in 1870 by lumber barons from New York State who took advantage of the area’s rich forests. As the lumber industry declined in the area, farming became the main source of income for most residents. 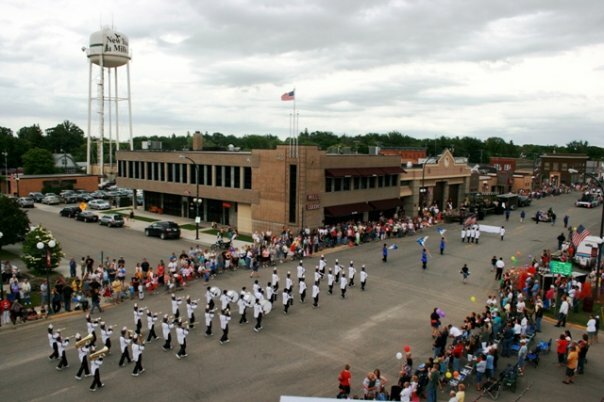 The town of just under 1,200 people is located in Otter Tail County in west central Minnesota along the Continental Divide. Minnesota is the “Land of 10,000 Lakes” and Otter Tail County boasts more lakes than any other single county in the United States. The closest larger cities are Fargo-Moorhead, Fergus Falls, Alexandria, and Brainerd. Minneapolis-St. Paul is approximately 3 hours away. This growing community is enriched by the arts programming at the Cultural Center and by artists participating in the Arts Retreat residency program. The Arts Retreat encourages visiting artists to become involved in the community. Direct contact with the community can be accomplished through informal connections or planned receptions, workshops, or other events. 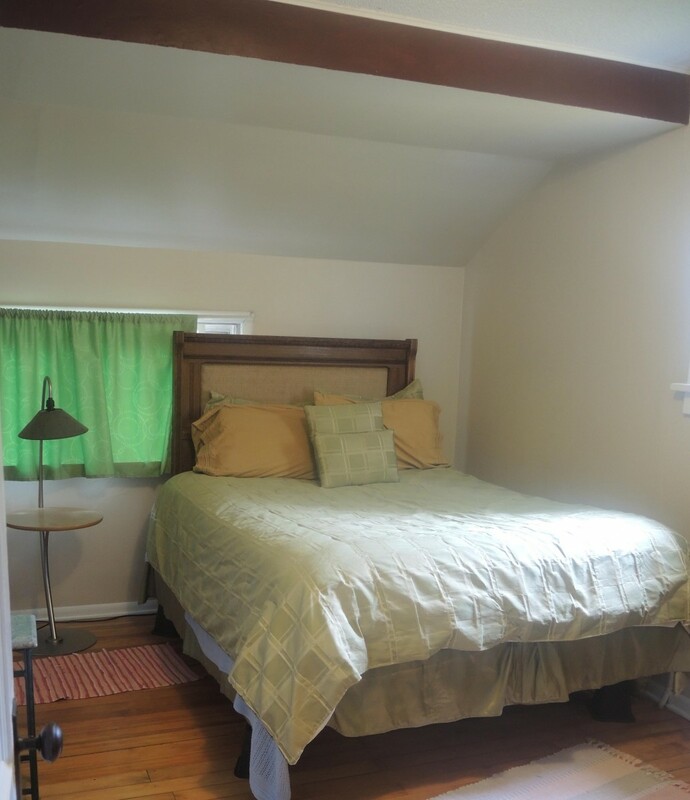 The New York Mills Arts Retreat owns a cozy one bedroom bungalow approximately three blocks south of “downtown” New York Mills. 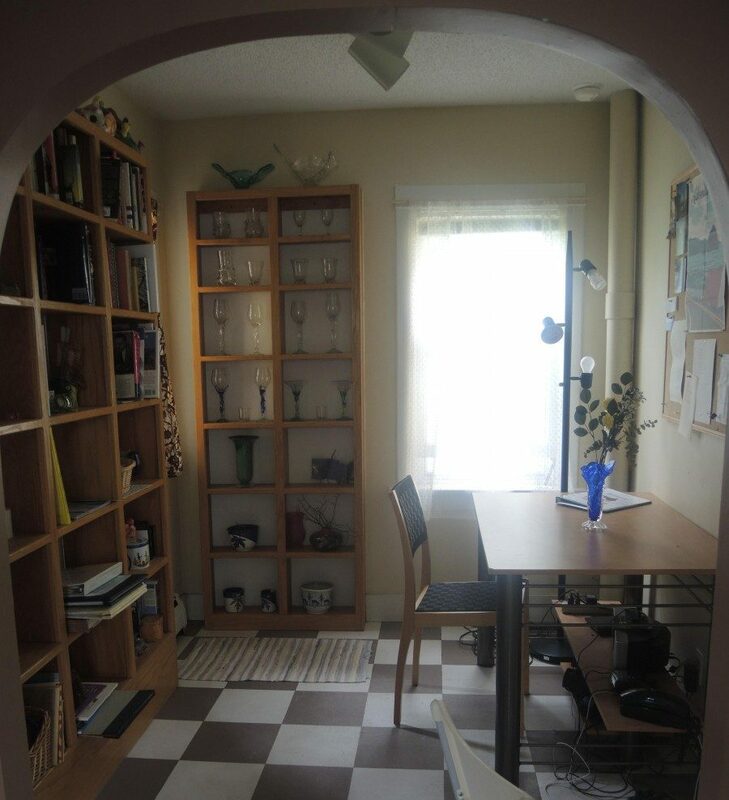 The house is within walking or biking distance of the Cultural Center, a grocery store, restaurants, banks, the bakery, the seasonal outdoor swimming pool and the New York Mills schools. 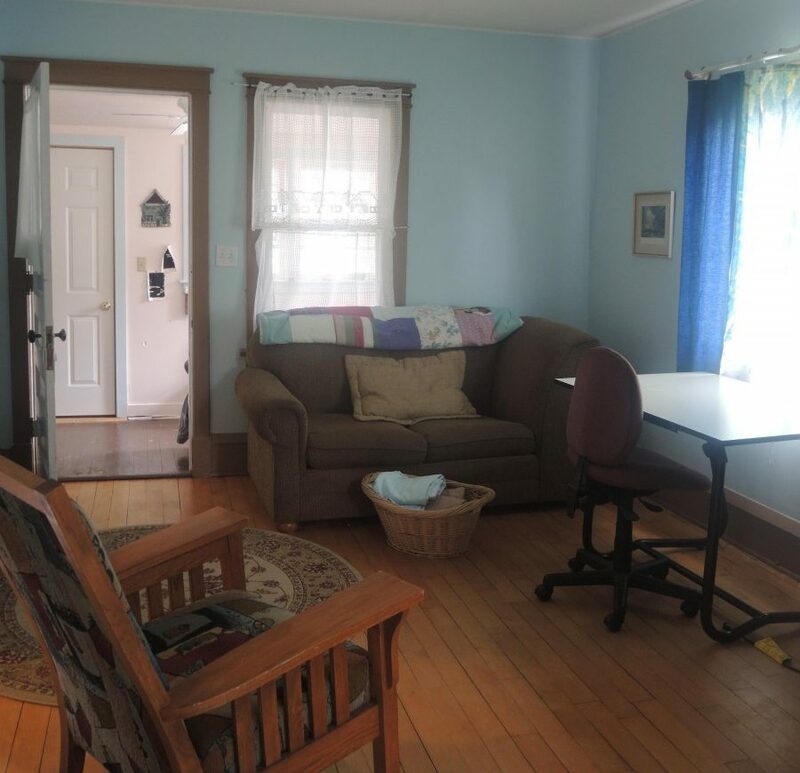 The house is equipped with a queen sized bed, rocking chair, writing desk, drafting table, comfy chairs and more. 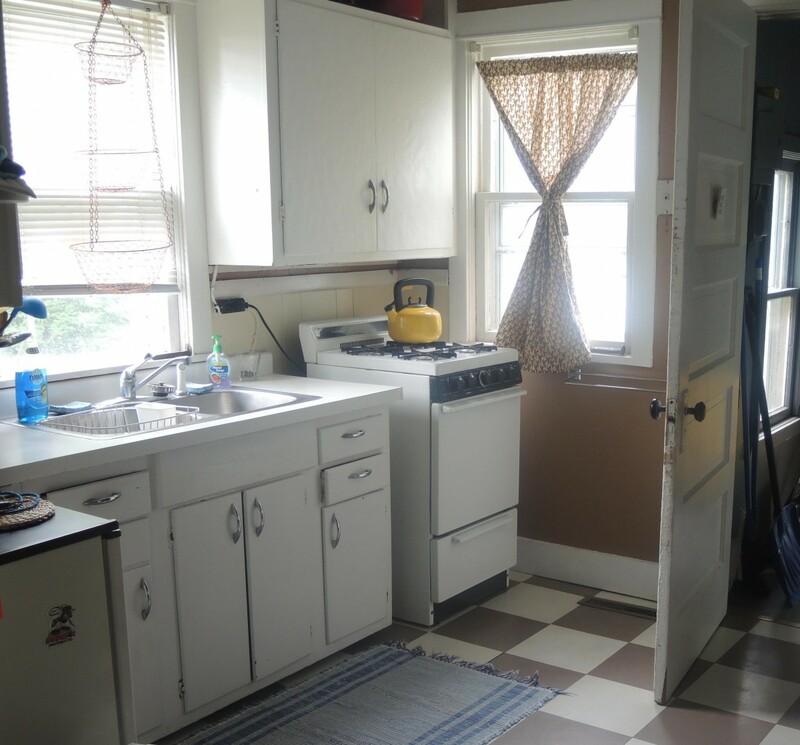 The kitchen is stocked with dishes, pots and pans, coffee pot, tea pot, etc. Linens and towels are provided as well. The house does not have a computer, television, or car. While on residency we hope to keep away the everyday distractions that can impede the creative process. We do offer wireless internet both at the house and the Center, as we have found this to be essential to some artists’ work. The City library also has wireless access, as well as computers that are available to you while on residency. There are bicycles provided at the retreat house for getting around. Mass transportation in our rural community is limited. Having your own automobile may be a help to you and can be useful for exploring the region; however, you can get along fine without the transportation afforded by a vehicle. It all depends on the goals of your residency and your lifestyle. We use Submittable to accept applications online. Click the link below to access the online application. Complete the form and required attachments as noted. We accept applications year-round, with two deadlines annually on April 1 and October 1. Applications for January-June residencies are accepted until October 1. Applications for July-December residencies are accepted until April 1. Thank you! We look forward to reviewing your application. Call the Center with any questions: (218) 385-3339 or e-mail cheryl@kulcher.org.